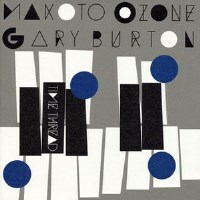 Description: Japanese pianist Makoto Ozone and legendary vibraphonist Gary Burton first met at Berklee School of Music in Boston, their relationship was one of a mentor and a student. Shortly thereafter, Ozone joined Burton's band and toured the world. After 30 years, their relationship has matured into that of friends and colleagues. Their third duo album following Face To Face and GRAMMY-nominated Virtuosi is a musical equivalent of a photo album, a collection of Ozone's brand-new compositions that recall and describe certain moments the two experienced together. Ozone provides detailed explanations of each song in his liner notes (both in English and Japanese). A fantastic collaboration between two great musicians that is both personal and universal at the same time. Recorded and mixed by Joe Ferla, the sound quality of this SHM-CD is also very good. Recorded at Avatar Studio, New York, on March 21-23, 2013. This SHM-CD edition released in Japan in May, 2013. SHM-CD utilizes a special polycarbonate material to enhance sound quality, and is compatible with all CD players.